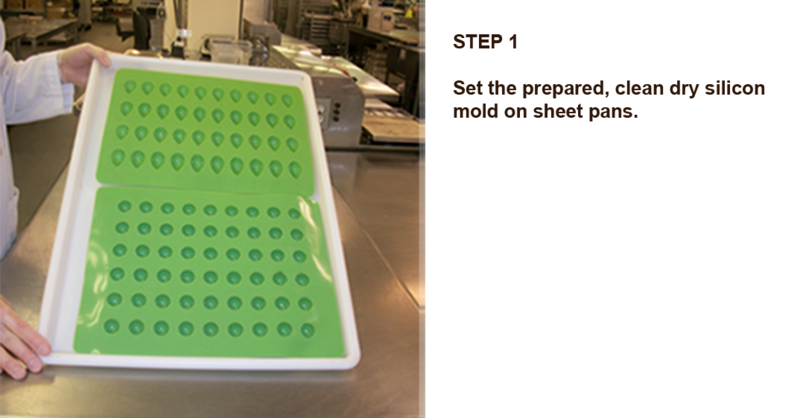 Set the prepared, clean dry silicon mold on sheet pans. 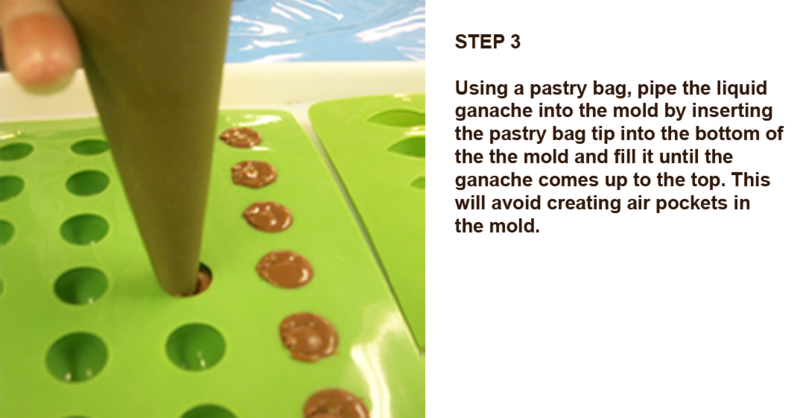 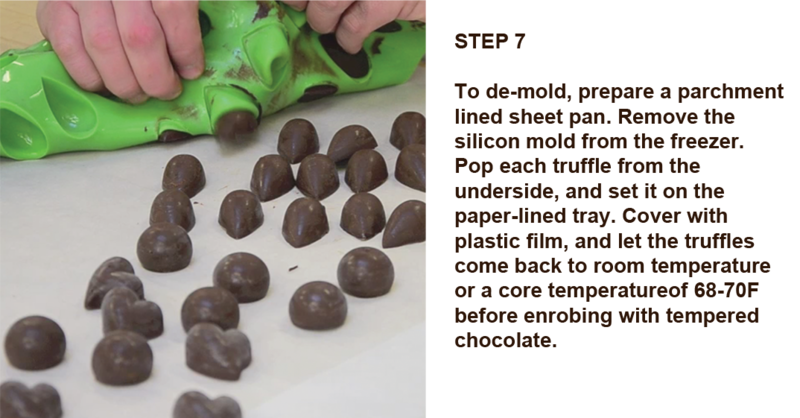 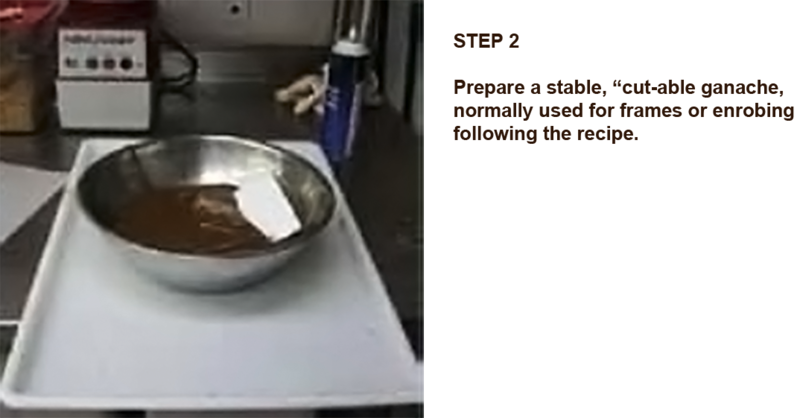 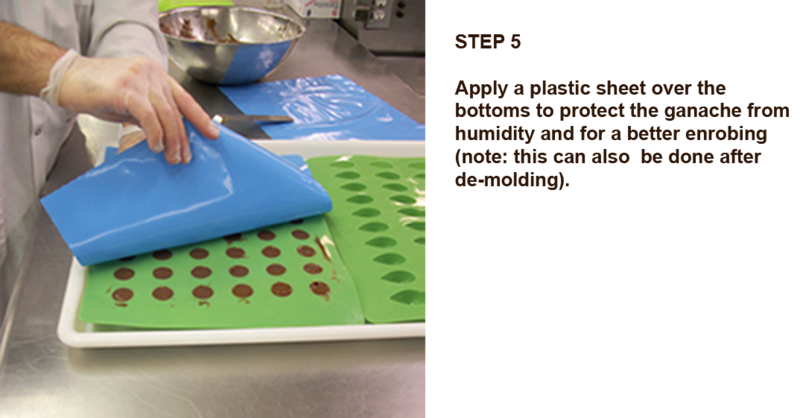 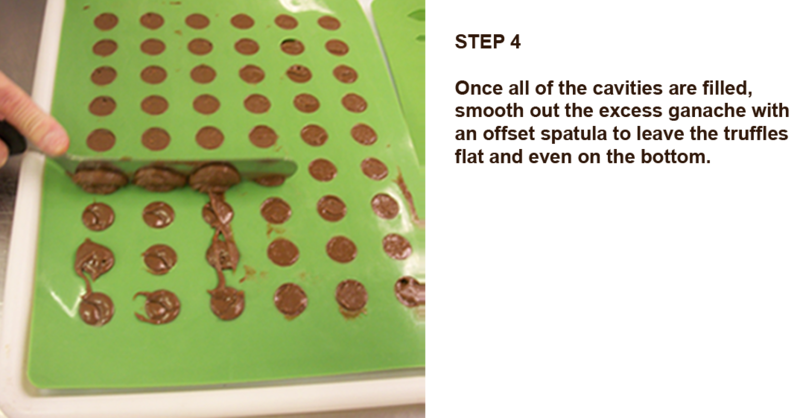 Prepare a stable, “cut-able ganache, normally used for frames or enrobing following the recipe. 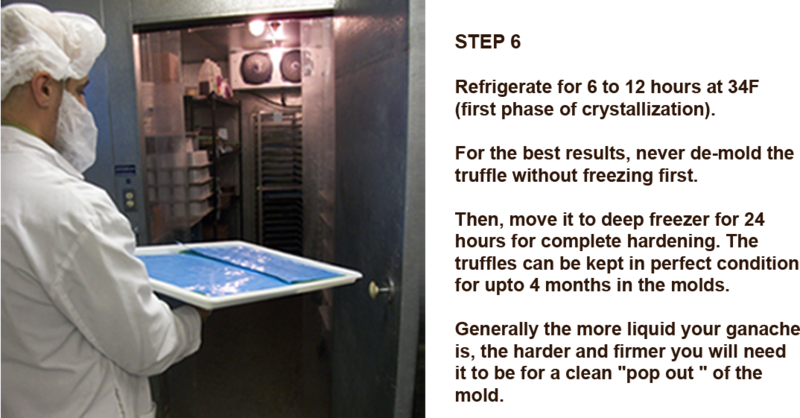 Refrigerate for 6 to 12 hours at 34F (first phase of crystallization). 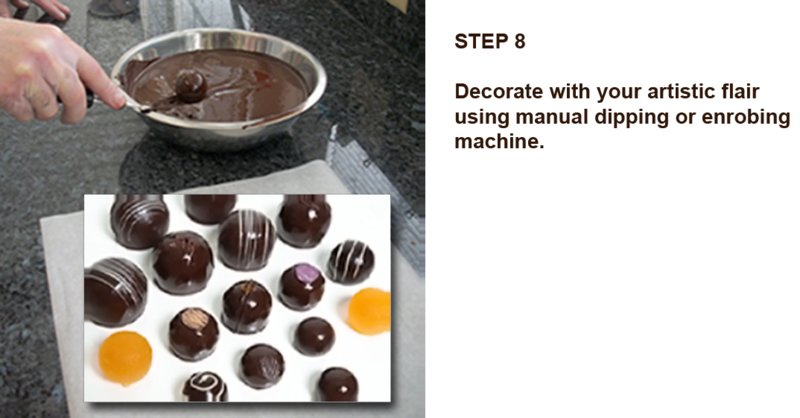 Decorate with your artistic flair using manual dipping or enrobing machine.